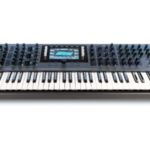 The new Korg Minilogue xd incorporates features from the original Minilogue, Monologue and Prologue into a unique new polyphonic synth. The Korg Minilogue xd is a four-voice polyphonic analog and digital hybrid synthesizer, it consists of two analog VCOs and a third multi-engine oscillator, which is capable of everything from wavetable to FM synthesis. 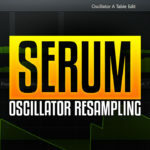 The multi-engine architecture is taken from the Korg Prologue’s design, and it’s open-source which means you can download custom oscillators that users have created or even create your own from scratch. The new Korg Minilogue xd incorporates the 16-step sequencer that we saw in the Monologue, incorporating the same intuitive motion sequencing and automation capabilities for parameters, and even micro-tuning capabilities. 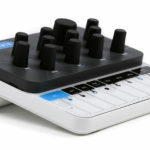 It features the intuitive voicing modes from the original Minilogue, capable of quickly switching between polyphonic, unison, chord and arpeggiator modes. 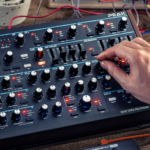 We also see the addition of the Korg Prologue’s advanced programmable DSP effects engine, capable of three simultaneous stereo effects including a Mod (Chorus, Flanger, Phaser or Ensemble), Delay (Tape, Ping-Pong or Stereo Delay) and Reverb (Rooms, Halls, Plates or Non-Linear Reverbs). It’s not just internal upgrades on the new Korg…. 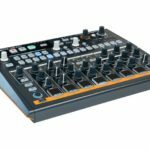 The new Korg Minilogue xd sees the addition of a dual CV and sync I/O for automating more parameters or note values via an external sequencer or modular synth. They’ve also incorporated the same memory capabilities as the Prologue, that’s 500 programmable preset locations! Korg have redesigned the pitch-bend/mod-wheel system, as the original was frankly pretty terrible. The new joystick style control handles both pitch and mod simultaneously. 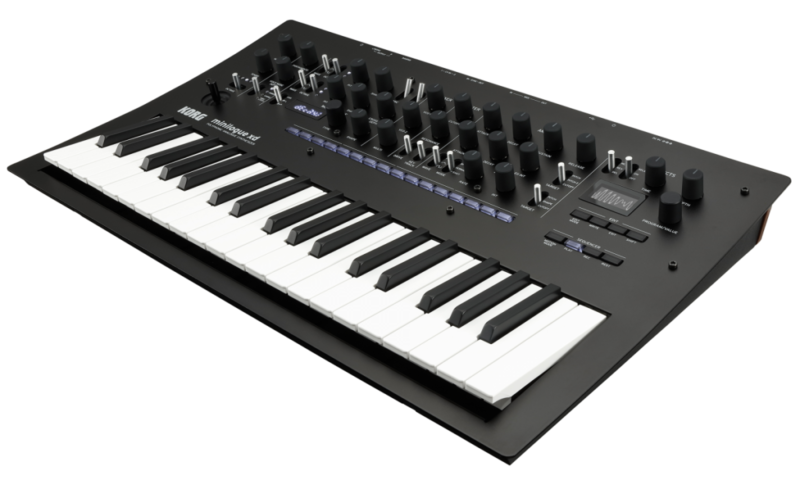 The new Korg Minilogue xd is set to retail at USD $619 (around R8500 excl. duties) and considering the wealth of new features, it’s not all that much more than the price of the original Korg Minilogue. 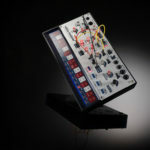 For more information on the Korg Minilogue xd check out their website.